Streaming data for BigQuery export is here. Today we're happy to announce that data for the Google Analytics BigQuery export can be streamed as often as every 10 minutes into Google Cloud. 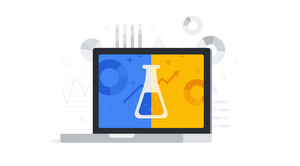 If you're a Google Analytics 360 client who wants to do current-day analysis, this means you can choose to send data to BigQuery up to six times per hour for almost real-time analysis and action. That’s a 48x improvement over the existing three-times-per-day exports. What can I do with streaming data delivery? Many businesses use faster access to their data to identify and engage with clients who show an intent to convert. For example, it's well known that a good time to offer a discount to consumers is just after they've shown intent (like adding a product to their cart) but then abandoned the conversion funnel. An offer at that moment can bring back large numbers of consumers who then convert. In a case like this, it's critical to use the freshest data to identify those users in minutes and deploy the right campaign to bring them back. More frequent updates also help clients recognize and fix issues more quickly, and react to cultural trends in time to join the conversation. BigQuery is an important part of the process: it helps you join other datasets from CRM systems, call centers, or offline sales that are not available in Google Analytics today to gain greater context into those clients, issues, or emerging trends. When streaming data is combined with BigQuery's robust programmatic and statistical tools, predictive user models can capture a greater understanding of your audience ― and help you engage those users where and when they’re ready to convert. That means more sales opportunities and better returns on your investment. Those who opt in to streaming Google Analytics data into BigQuery will see data delivered to their selected BigQuery project as fast as every 10 minutes. Those who don't opt-in will continue to see data delivered just as it has been, arriving about every eight hours. The new export uses Cloud Streaming Service, which costs a little extra: $0.05 per GB (that is, "a nickel a gig"). The opt-in is our way of making sure nobody gets surprised by the additional cost. If you don't take any action, your account will continue to run as it does now, and there will be no added cost. Most data sent directly to Google Analytics is included. However, data pulled in from other sources like AdWords and DoubleClick, also referred to as “integration sources”, operate with additional requirements like fraud detection. That means that this data is purposefully delayed for your benefit and therefore exempt from this new streaming functionality. For further details on what is supported or not supported, please read the help center article here. You can also visit our Help Center for full details on this change and opt-in instructions.